The Matador was a stately styled coupe/sedan/wagon that replaced the Rebel in 1971 as American Motor Corp's (AMC) plus sized muscle coupe. In 1974 the Matador coupe was restyled in a completely different fashion from the sedan and it was cool enough for Francisco Scaramanga to use a flying version to escape James Bond in The Man with the Golden Gun. 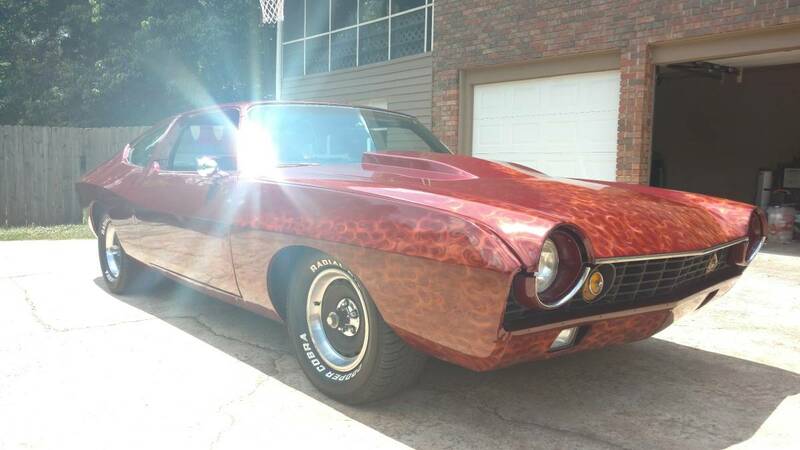 Find this 1977 AMC Matador Custom offered for $9750 near Atlanta, GA via craigslist. Tip from Matt C.
If you are looking for a clean/original/stock Matador, take your briefcase full of unmarked twenties elsewhere, because this is a custom with a kapital K. The bumperless exterior is covered in a flames and looks straight. 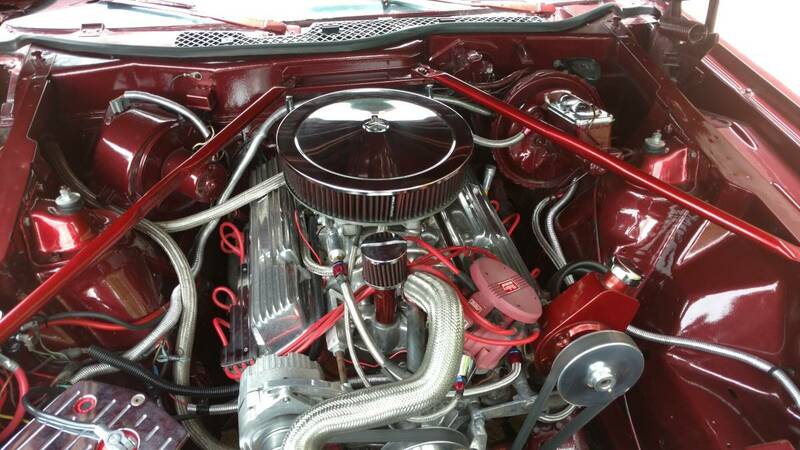 Under the hood is a crimson engine bay that has been blinged out, but it looks clean and more than just trip down the painted plastic aisle at Pep Boys. The original 360 cubic inch V8 would have made a pathetic 138 horsepower, but this one should make at least double that figure. Well, it looks like he wound up exactly where he wanted to be, so Kudos for execution, if not conception. 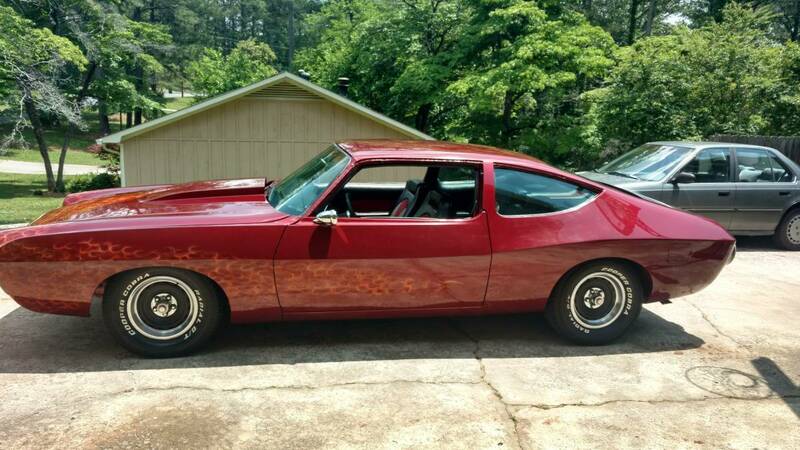 This is easily the best 1977 Matador I've ever seen.